Similar to the alleged cover up of the School Site Sexual Account Report, Superintendent Cindy Marten, on behalf of the San Diego Unified School District, has attempted to cover up her actions as an accomplice to Trustee Marne Foster’s improper site interventions and, along the way, characterized ALL the courageous SDUSD Stakeholders who testified for San Diego County Grand Jury as incompetent “staff members” with misguided “perceptions” testifying to the “possibility” that certain things “may have” occurred”…THEREBY TRYING TO UNDERCUT THE TESTIMONY OF THE EMPLOYEES WHO ACTUALLY EXPERIENCED AND WITNESSED THE ABUSES BY MARTEN AND FOSTER – Just another inadequate response by the one of the most inadequate Superintendents in the United States. The San Diego Unified School District (“District”) has reviewed the Facts, Findings and Recommendations in the Grand Jury Report “San Diego Unified School District Trustee’s Overreach: Abuse of Power?” filed on May 18, 2015. Pursuant to California Penal Code section 933(c), the following constitutes the response of the District, its Governing Board (“Board”) and the Superintendent, to the findings and recommendations pertaining to matters under the control of the District. The above-entitled Grand Jury report raises serious concerns regarding the potential for District officials to engage in conduct which may constitute an abuse of authority. This is an issue which the District takes seriously. However, the facts and findings presented in the report suggest merely the perception of a violation. The Grand Jury made no findings of actual misconduct on the part of any of the District’s five trustees. Rather, the report speaks only to the “perceptions” of certain staff members and the “possibility” that certain things “may have” occurred. Further, the Grand Jury’s findings and recommendations overlook long-established District policies and procedures which are directed at the potential overreach which is the subject of the report, and which are sufficiently robust to address the issues raised in the report. The District disagrees both that the District’s Board Member Code of Conduct, Conflict of Interest Policy and Board Governance Policies are insufficient to prevent trustees from exerting undue influence in matters involving a particular District school, and that there is no training provided to trustees on the issues addressed in these documents. Therefore, while the District appreciates the time and attention the Grand Jury has paid to these issues; it declines to follow the recommendations provided in the report. Intimidating Teachers, Site Staff, Counselors and Site Leadership. Using Board Member influence to bypass established counseling rules and open sealed General Application documents. Inventing violations to enable inappropriate disciplinary actions/removal/reassignment of highly qualified staff. Presenting fake proof to other Board Members to justify actions. Use Area Superintendent to operationally carry out the charade to improve their career possibilities. As Superintendent, do NOTHING to stop or report the violations by a Board Member and instead ASSIST the improper intervention. These are not “perceptions” by a few delusional SDUSD Stakeholder Employees. This is TESTIMONY UNDER PENALTY OF PERJURY by a sizable number of some of the most TALENTED AND DEDICATED EDUCATORS in the SDUSD that were victimized and persecuted by Marne Foster and Cindy Marten. Finding #01: The removal of two staff members from the school attended by a trustee’s child was perceived by other staff to have been improperly influenced by a trustee. 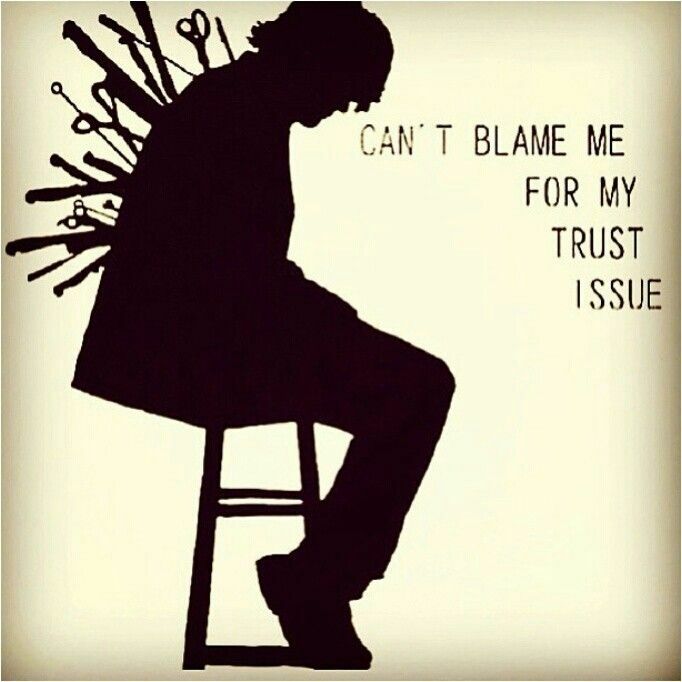 Explanation: To the extent any staff perceived that the removal of any staff member at any school was moved due to the improper influence of a single trustee, such a perception would be inaccurate and contrary to established District practice and Board Governance Policies. The Board is not involved in decisions regarding the assignment or reassignment of site personnel. Rather, pursuant to a Board adopted resolution, that authority is delegated to the Superintendent. How DUMB does Marten, Foster and the rest of the Board of Education and the SDUSD Legal Team think THE SDUSD STAKEHOLDERS AND COUNTY GRAND JURY ARE?!? TOTALLY DISRESPECTFUL AND DEMEANING TO THE SDUSD STAKEHOLDERS, THE TAXPAYERS AND THE SAN DIEGO COUNTY GRAND JURY! EVERYONE in San Diego knows what Trustee, the School and the Staff Members that the Grand Jury was referring to. Virtually EVERY news outlet in San Diego has covered the story. In addition…obviously…by listing each applicable Bylaw, State Law and Regulation, Marten and the SDUSD KNOW the impropriety and illegality of Trustee Marne Foster intervening for her son through the intimidation of Teachers, Site Staff and Site Leadership and even cite “established District practice and Board Governance Policies” and “a Board adopted resolution”. This is an EXTREMELY creative defense…the OPPOSITE of “ignorance of the law affords no excuse”. “KNOWLEDGE OF THE LAW GIVES YOU AN EXCUSE TO BREAK IT”! In the SDUSD Response, Marten is saying that since Marten, Foster and the Board of Education KNOW the rules, that is proof that they did not violate them!!! Using that logic, a Superintendent who KNOWS that it is inappropriate to allow repeated sexual assaults at a school site and then cover up the investigation is exonerated as long as that Superintendent KNOWS IT IS WRONG!!! Wait a minute…that is EXACTLY what Marten did in her cover up at Green Elementary here: LAWSUIT BOMBSHELL!!!! Investigator Claims SDUSD Superintendent Cindy Marten ORDERED COVER-UP IN SITE SEXUAL ASSAULT REPORT!!! Cindy—you are RIGHT! So why did you BREAK BOARD GOVERNANCE POLICIES and help Foster accomplish it by TAKING HER IMPROPER UNILATERAL INTERVENTION ORDERS at both SCPA and Lincoln High School…and probably many, many more schools?!? This finding also ignores applicable laws and district rules pertaining to personnel actions. The finding is based in part on the apparently reported “fact” that certain staff members were “removed” from a school “in spite of the fact that they performed well in their positions;” thereby implying they must have been removed for an improper reason. However, there are a myriad of reasons that an employee may move from one position to another, including voluntary or involuntary transfer, site or district reorganization, budgetary considerations, and/or leave of absence. Such moves are governed by applicable provisions of the Education Code, the district’s collective bargaining agreements, and the Classified Regulations of the District. The EMPLOYEES WHO WERE REMOVED BY FOSTER WITH MARTEN’S OPERATIONAL AUTHORITY DID NOT KNOW WHY THEY WERE REMOVED! One highly qualified and credentialed employee received an unwanted “promotion” to a position created over 1 ½ months AFTER their removal from the site…a position that had no guidelines and no job description AND that they DID NOT WANT! The “myriad of reasons” excuse is simply a COVER UP FOR THE IMPROPER ACTIONS OF MARTEN AND FOSTER. While other staff may draw inferences from the simple fact of a move, personnel matters regarding performance, evaluation, and requests for personal leave arc confidential by law. For that reason it is unlikely, and certainly should not be assumed – that the perceptions of other staff as to 1) whether an employee performed well in their position; or 2) the reason for their reassignment (whether voluntary or involuntary) are accurate. So in the Cindy Marten and Marne Foster world of the “I am because we are.” Manchurian Candidate chant and the “formative lens” Eduspeak… and despite the despite the fact that the chant was parroted and taught by the Area Superintendent who had a key role in the removal of both individuals…the MFP response concludes that ”perceptions of the staff” CANNOT BE TRUSTED! Since MFL DO NOT TRUST the ”perceptions of the staff” when it comes to something as critical as comprehending the reasons for removal of THEIR OWN PRINCIPAL, how can they also be able to “model the behaviors expected of (those same) staff and students and to build public confidence and credibility.”? Fortunately we cannot think of even ONE staff or student that aspires to that extremely LOW LEVEL behavior of betrayal and cover up displayed by Marten and Foster. We would also disagree with ANYONE who questions the “perceptions” of on site Staff…the Teachers, Staff, Vice Principals and Principals that have dedicated their lives and their careers to perceiving our students needs and supporting their endeavors. How dare MFL to question their perception! Finding #02: Several school staff members testified that they made decisions regarding a trustee’s child out of fear of retribution. Response: The District has no basis to agree or disagree as to what any witness testified to and is, therefore, unable to respond. Explanation: Grand Jury testimony is confidential. The transcripts of interviews conducted in connection with this investigation have not been released. Therefore, the District cannot know what was or was not testified to. By stating that the District cannot know what was or was not testified to”, apparently Marten, Foster and the legal team MUST believe that the GRAND JURY COULD BE LYING even though the GRAND JURY SPECIFICALLY EXPLAINS WHAT THEY WERE TOLD! On the other hand, according to Marten, Foster and the SDUSD Legal Team, the Grand Jury, all SDUSD Stakekholders and Taxpayers MUST take their word and believe that the SDUSD followed ALL the Board Bylaws, State Laws and Federal laws WITHOUT ANY INVESTIGATION RESULTS AND NO PROOF! If that sounds familiar watch any Board Meeting and the total lack of transparency, truthfulness and collaboration when the LCAP, LCFF, SPSA or ELL/ELST Supports are on the agenda and their corresponding demand of blind trust from Stakeholders…and then read what Marten, Foster and the Board do when a SDUSD Investigator actually does his FULL investigation here: LAWSUIT BOMBSHELL!!!! Investigator Claims SDUSD Superintendent Cindy Marten ORDERED COVER-UP IN SITE SEXUAL ASSAULT REPORT!!! Finding #03: A trustee may have failed to follow the Code of Conduct and Governance Culture GC-7, Section 2.a, by attempting to interfere with operational issues at a school attended by their child. Response: A “finding• that something “may• have occurred is really no finding at all. To the extent it is alleged that a trustee actually failed to follow the District’s Code of Conduct and/or Board Governance Policy GC7· , the District disagrees with this finding (Penal Code§ 933.05(a)(2). Explanation: The District is unaware of any trustee failing to follow the referenced Board Governance documents. Notably, there are no facts in the report which indicate any actual wrongdoing on the part of any trustee, nor are there any findings of wrongdoing. The entirety of this report is based upon the subjective perception of unidentified persons. By stating “A “finding• that something “may• have occurred is really no finding at all.” and “The District is unaware of any trustee failing to follow the referenced Board Governance documents.” and without ANY proof or documentation of an internal investigation this exclamation CLEARLY SHOWS THAT THE SDUSD IS NOT WILLING OR ABLE TO INVESTIGATE THEMSELVES! Response: The District disagrees with this finding. (Penal Code§ 933.05(a)(2).) Explanation: This “finding” is based on incomplete “facts” and implies without basis that District employees were wrongfully admonished or disciplined. First, the fact that confidential student information “may” have been improperly provided is not a fact, it is a mere possibility. Second, while it is likely that “an employee” somewhere in the District was admonished at some point for violation of District policy regarding the handling of confidential student information, it does not follow that the admonishment was improper. District policy regarding the handling of confidential student information is based upon the Federal Educational Rights and Privacy Act (“FERPA”). If an employee violated a student’s rights under FERPA, an admonishment would be entirely proper regardless of whether such conduct was reported by a trustee or someone else. Similarly, it would not be improper for the District to discipline an employee responsible for providing student support for failing to provide such support as was required in carrying out his or her duties. An interesting TRICK IS BEING PULLED by MFL here. THIS IS AN OUTRIGHT LIE. Counseling employees were disciplined for the breach of confidentiality CREATED BY FOSTER. The FATHER of Marne Foster’s son SUED the District for a confidential letter inappropriately acquired by Foster that he did not like. That is FAR from a mere possibility. Finding #05: District and school personnel have difficulty maintaining appropriate boundaries with a trustee parent as distinguished from a trustee without a personal interest in school operations. Response: The District disagrees with this finding. (PenalCode§ 933.05(a)(2).) Explanation: Whether or not unidentified individual employees have difficulty maintaining “appropriate” boundaries with a trustee parent is wholly subjective as to each individual. The District has roughly 14,000 employees, all with arguably different views on what is or is not appropriate, and what is or is not comfortable, as it pertains to relationships with trustees. Certainly, it cannot be said that all employees- or even most employees – have difficulty maintaining appropriate relationships with all trustees when they are also parents of District students, as is asserted in this finding. A PURELY LEGAL response and cover up to a simple fact that MFL want to hide. Foster tried to intimidate Teachers, Counselors, Staff and Site Leadership to help her son…and Marten helped her do it…PERIOD. Some intimidation supposedly worked…grades may have been improperly changed, fees may have been waived, attendance was “adjusted”…even a counseling meeting that usually takes 2 months to plan was hastily convened graduation week with 1 day notice and with partial attendance to “FIX” things. Some intimidation didn’t work and people were punished and disciplined by Marten and Foster so they could “make an example” of their absolute power of retribution…and both proved the adage that “absolute power corrupts absolutely”. The “unidentified individual employees” stayed unidentified for good reason…to try and keep their jobs! Finding #06: There is no perceived confidential procedure for employees to utilize when faced with conflicts regarding a trustee. Explanation: It is possible that some employees may have that perception, while others are aware of the many venues in which an employee may lodge a complaint. However, it is not true that the District does not have confidential procedures for employees to utilize when faced with conflicts with a trustee. There are several avenues for employees to raise such concems in a confidential manner, including, but not limited to, the District’s Fraud Hotline on which anonymous calls may be made to report, inter afia, trustee misconduct. Those calls can then be screened by the same SDUSD employees that will be pressured by Marten and Foster to try to find out who left the message and from which school and then to cover it up. District Deeds cannot think of a better DETERRENT to become a Whistleblower against “Trustee Misconduct”! Part 2 will feature the Suggestions by the San Diego Grand Jury to San Diego Unified. SPOILER ALERT: The incompetent Cindy Marten rejected ALL the valuable suggestions by the Grand Jury. In Part 2, the District Deeds Analysis will provide San Diego Stakeholders the REASONS behind the SDUSD rejections…and what would be gained if the Board of Education rejected Marten and not the Grand Jury suggestions.